Yes, this is the much raved about dim sum recently! 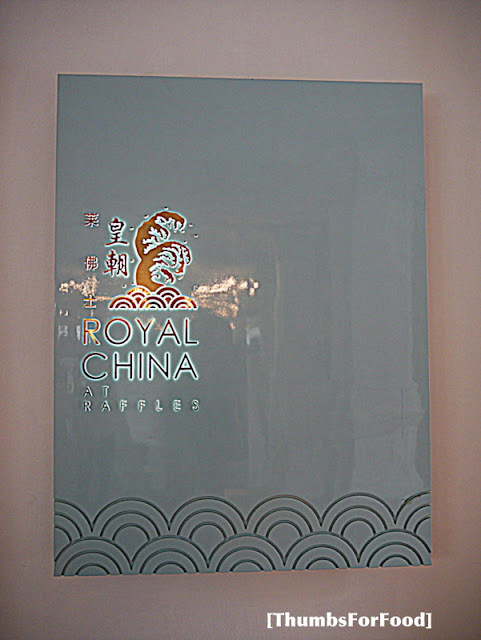 Royal China at Raffles Hotel has been around for quite a while actually. One thing to note is that they only serve dim sum for lunch and you have to make reservations beforehand! 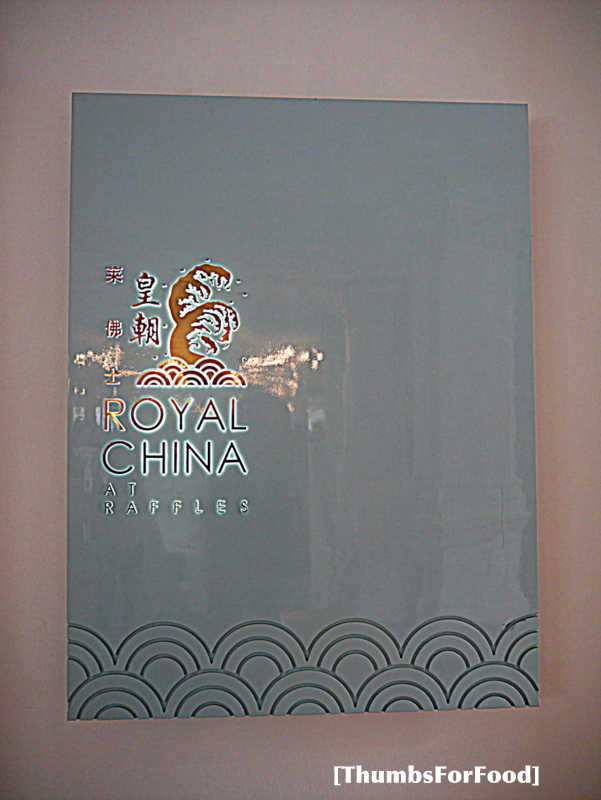 Royal China Dim Sum is definitely one of the best Dim Sum places in Singapore. The prices are rather affordable as well; around $20-25 per person depending on how much you eat. If you are a fervent fan of custard buns, you should visit this place! Other than Royal China, Victor's Kitchen also serves up good custard buns. Personally, I feel that dim sum are best eaten in groups of 3 to 4 so that each serving is just nice. This is a random point but yes, I think it makes sense! First up, we tried the Deep Fried Mango roll with Seaweed $5.40. This is just one of the favourites of everyone [: I like it that it is not too oily (at least you cannot see the excess oil on the plate). Well, this is one of their recommendations: the Stir-fried carrot cake. I feel that the taste is rather ordinary but for carrot cake, I think there is a limit to how nice it can be made into. This carrot cake is crispy on the outside and the beansprouts go so well with it. So, nothing to complain about! Of course, what's dim sum without the almighty Har Gao (Steamed Prawn dumplings) $4.80. This is just simply delicious! Fresh and huge prawns; definitely worth the price! Baked Egg Tarts $3.60. I am a fan of egg tarts and I am very much satisfied by Royal China's egg tarts. I like the flaky crust and also the petite size of the tart that made popping it into my mouth so easy! But, the others thought that it was nothing fancy. Deep Fried Yam Puff with Scallop in Portuguese Sauce $5.60. When I saw this on the menu, I knew that I had to order this right away! Both of my favourites combined is a must-try! I like the yam and the scallop. But, the chicken in Portuguese Sauce inside the puff did not really appeal to me. Pan Fried Beancurd Skin Roll Stuffed with Minced Prawn $5.60. Pretty ordinary and attainable almost at every dim sum house! Royal China's Special Cheong Fan $5.60. A combination of barbecued pork, scallops and prawns cheong fan. What more can you ask for? This mix is perfect for people with differing preferences! Everyone gets to eat their favourites! Custard Bun $4.80. Well, definitely one of the best custard buns in town. I like it that the custard flowed out upon biting into it [: But, my friend was not so lucky. She got a bun that did not have the flowy custard that we all like. Perhaps it was due to the delayed serving of the buns. Steamed Minced Pork Dumplings with Wolfberry $5.60. Yes, I'm a fan of the classics. Of course, this siew mai is a must-try too. Pretty awesome! Generous fillings of prawns which made me really happy. Seafood Congee $9.60. This was last on our order list. Even though our stomachs were pretty much filled by this time, we still enjoyed the congee to its last ounce. The sweetness of the seafood mixed into the congee is everyone's dream breakfast, isn't it? This was pretty good. For fans of braised chicken feet, have a try! But, be warned that its pretty ordinary! Overall, I would recommend Royal China to our dear readers. However, we were pretty stressed by the fact that we had only 1 and a half hours to finish up our dim sum feast. Service was good and food was good. All these was at a reasonable price. Please remember to call for reservations early if you want to yum cha this weekend!